One of the best safari destinations on the African continent, Tanzania is home to a slew of world-famous game reserves — including the iconic Serengeti National Park and the Ngorongoro Conservation Area. In particular, it is known for the Great Migration, an annual event that sees vast herds of wildebeest and zebra travel between their ancestral grazing and mating grounds in Tanzania and Kenya. 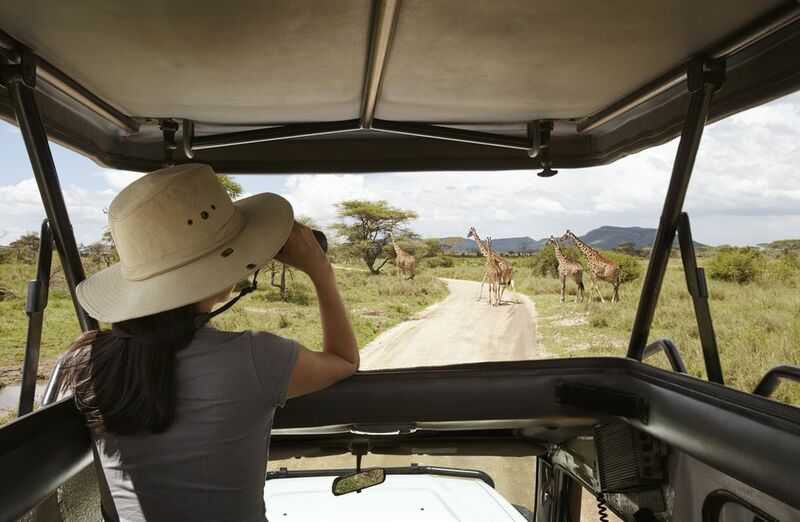 A Tanzanian safari ranks highly on many people's bucket list. However, there are countless different operators to choose from and itineraries are notoriously pricey. Before forking out thousands of dollars for your trip of a lifetime, it’s essential to make sure that you’ve chosen the best possible trip for you. We've rounded up our pick of the most rewarding itineraries for five different types of traveler. This 11-night itinerary from luxury travel company Imagine Travel is the ideal option for those with unlimited cash to spend. It offers the best of both worlds — the rugged beauty of Tanzania’s most famous safari destinations and the tropical luxury of the beach. Accommodation is provided by a series of exclusive camps and lodges, all owned by socially and environmentally-conscious brand Asilia Africa. After flying into Kilimanjaro, you’ll be greeted by your private guide and taken directly to Tarangire National Park. Part of the country’s famed Northern Circuit, Tarangire is less crowded than its better-known neighbors, offering excellent game-viewing and a fabulous sense of exclusivity. You’ll spend your time here at Oliver’s Camp, where 10 luxury safari tents offer every conceivable modern comfort, from antique decor to en-suite bathrooms with hot water and flushing toilets. The itinerary also takes you to Lake Manyara National Park, the Ngorongoro Conservation Area and Serengeti National Park. At Ngorongoro you will stay in the contemporary glass-and-canvas domes of The Highlands. This intimate camp is set on the slopes of the Olmoti volcano and combines breathtaking views of the Ngorongoro Crater with sublime in-house dining. In the Serengeti, you can add to the luxury experience with an optional hot-air balloon safari. The second half of the trip is spent in the Zanzibar Archipelago, at 5-star Matemwe Lodge. Expect laid-back indulgence in one of 12 beach chalets, each of which overlook a coral-filled lagoon. All chalets include a deep-soaking tub and a private verandah with soothing sea views. Spend your days in the spa, cruising on a traditional dhow or scuba diving off nearby Mnemba Atoll. Family safaris offer a unique opportunity to introduce your children to the wonders of the African bush — but they do require special planning. Many lodges have age restrictions, and some ban children from game drives altogether. This itinerary by The Africa Adventure Company, however, is especially geared towards parents traveling with teenagers and young children. The tour is private, allowing you to customize your itinerary according to special requirements and individual interests, while the included activities are designed to delight younger travelers. The trip lasts for 14 days, and focuses on the parks of the Northern Circuit. In Tarangire National Park, scenic game drives can be enjoyed alongside nature walks with local Maasai guides or trips to rural schools. Experiences like these offer your children an invaluable insight into other cultures as well as the chance to interact with Tanzanians of their own age, perhaps by joining in a lesson or by playing a game of soccer. At Lake Eyasi, spend time with indigenous bushmen, learning how to gather plants and craft traditional weapons and jewelry. Other highlights include the unparalleled game viewing of Ngorongoro Crater and the Serengeti; and Olduvai Gorge, an anthropological site famous for the discovery of early humanoid fossils. In each location, lodges and camps are selected especially for their family-friendly outlook. Value and Classic accommodation options allow you to tailor your trip to suit your budget. Regardless of which price bracket you choose, there are significant discounts for children — making the thought of budgeting for a family vacation to Tanzania slightly less intimidating. This romance-filled itinerary by luxury travel company &Beyond is tailor-made for honeymooning couples. It could also set the scene for your dream proposal, or make a special anniversary unforgettable. The private tour, which lasts 11 days, starts with a scheduled flight from Kilimanjaro to remote Manyara Airstrip. From there, an open 4x4 safari vehicle takes you to Lake Manyara National Park, where awe-inspiring habitats range from secret woodlands to soda lakes dotted with flamingoes. Spend your time at the park looking for its famous tree-climbing lions. Later, fall asleep amidst the mahogany trees in an atmospheric stilted treehouse at &Beyond Lake Manyara Tree Lodge. Unique experiences are the trademark of this itinerary. In the Ngorongoro Conservation Area, share a gourmet picnic with your loved one on the crater floor, surrounded by wildlife and waited upon by immaculate butlers. In the Serengeti, stay under canvas and experience the incredible romance of a dawn hot-air balloon safari. Of course, nothing says "I love you" like a few days of decadence on an idyllic shore — which is where &Beyond Mnemba Island lodge comes in. Transfer via plane and boat to this picture-perfect spot in the Zanzibar Archipelago to try your hand at scuba diving, snorkeling or fly-fishing. Alternatively, you can relax in your beachfront banda or sign-up for a massage overlooking the ocean. Many of your meals are served al fresco, in the form of beach picnics or candlelit dinners at the water’s edge. Feeling the need to sign out of real life for a week? This itinerary from veteran travel company Nomad Tanzania is your key to escaping the rat race. Designed as an antidote to the pressures of modern life, it focuses on two remote areas in southern Tanzania, both of them far removed from WiFi and cell phone reception. Say goodbye to your work colleagues, abandon your social media accounts and rediscover your inner peace with a visit to the country’s least-visited wildernesses. Your seven-night trip begins at Ruaha National Park. It is the largest national park in Tanzania, and also one of the least accessible. Its remoteness means that it is less crowded than the more famous parks of the north; but the wildlife sightings are just as rewarding. In particular, the park is known for its big cats, boasting the second-largest lion population in Africa. You’ll stay at Nomad Tanzania’s Kigelia Ruaha Camp, which comprises just six luxury tents nestled amidst a grove of sausage trees. The second half of the itinerary takes you to the world-renowned Selous Game Reserve. The rustic cottages of Sand Rivers Selous camp provide inspiring views of the Rufiji River, which is the ideal location for relaxing river safaris. The best way to explore this largely untouched area, however, is on foot. Walking safaris are a key attraction at Sand Rivers Selous, giving you the chance to immerse yourself in nature's splendor. For a true taste of life in the wilderness, spend a night fly-camping in a temporary camp. Surrounded by virgin bush and lit by the flicker of the nearby campfire, these netted tents afford bedtime views of the stars, spangled in vivid constellations across the African sky. This itinerary is offered from June to mid-March. Whether you’re an amateur or a professional behind the lens, this itinerary is a must for keen wildlife photographers. It centers around the Great Migration, a magnificent spectacle of life and death involving hundreds of thousands of wildebeest and zebra (and the predators that follow in their wake). The time and location of the migration changes every year, and is therefore hard to predict. For this reason, the tour focuses on two different areas of the Serengeti to maximize your chance of being in the right place at the right time. You’ll be based first in the Namiri Plains, a remote private concession in the east-central Serengeti that has only recently become accessible to visitors. Very few tourists travel to the Plains - which means that you won’t have to worry about hordes of safari vehicles ruining the authenticity of your photographs. The area is also known for its high predator density, giving you the best possible chance of capturing the drama of a kill on camera. You can explore on foot, or in a traditional safari vehicle. The second half of the trip takes you to the company's Migration Base Camp in the southern Serengeti. Natural Habitat Adventures limits group sizes for this itinerary to just nine people, with a maximum of four guests per vehicle. This means that there’s plenty of space in the jeep for your camera equipment, while a window seat with an unimpeded view is guaranteed. Best of all, the nine-day trip is guided by a professional naturalist and accomplished photographer, with the knowledge needed to advise you on how to get the best shots.